Respect is a workplace value. If you're looking for an inspirational quote about respect for your newsletter, business presentation, to post on your website, or for an inspirational poster, you're in luck. These quotes about respect highlight important characteristics of what it means to respect your coworkers, and be respected in return. 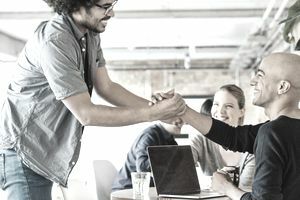 Respect as a mode of behavior is essential in your workplace because it's one of the five factors that every employee needs to receive in order to be satisfied and productive at work.